I’m afraid of their feelings being hurt. It’s hard to believe my youngest is three and a half years old already. It makes me terribly sad to think of how fast time is going and want nothing more than to slow it down. I used to think I wanted a third baby, but after the chaos that’s been the past year and a half, I think two may be it for us. I’m trying to raise my son to be a sweet, kind, and caring individual. I’m trying to teach him right from wrong, how to spread love to others, and what words are and aren’t acceptable to say. He’s always been very intelligent for his age, and I sometimes have to remind myself he’s still so young. He may be three but he acts five, leaving other kids to think he’s older than he is. I don’t want to be the parent that smothers her child and keeps him in a bubble. But at the same time, I’m terrified of what he may learn from other kids. I’ve been at the playground and heard young kids calling each other “gay” or “stupid”, and that’s not okay with me. I’m hoping that he never repeats things like that because he knows it’s wrong to say, but my biggest fear? His feelings. I’m afraid of kids being mean to him or not letting him play. It’s already started. The other day at summer camp, I saw tears forming in his eyes right before I left. I called him over and asked him what was wrong and he told me that two of the other boys didn’t want to play with him. It broke my heart. How do you explain something like that to a three year old? So I said “well not everyone is going to want to play with you all the time and that’s okay, baby. 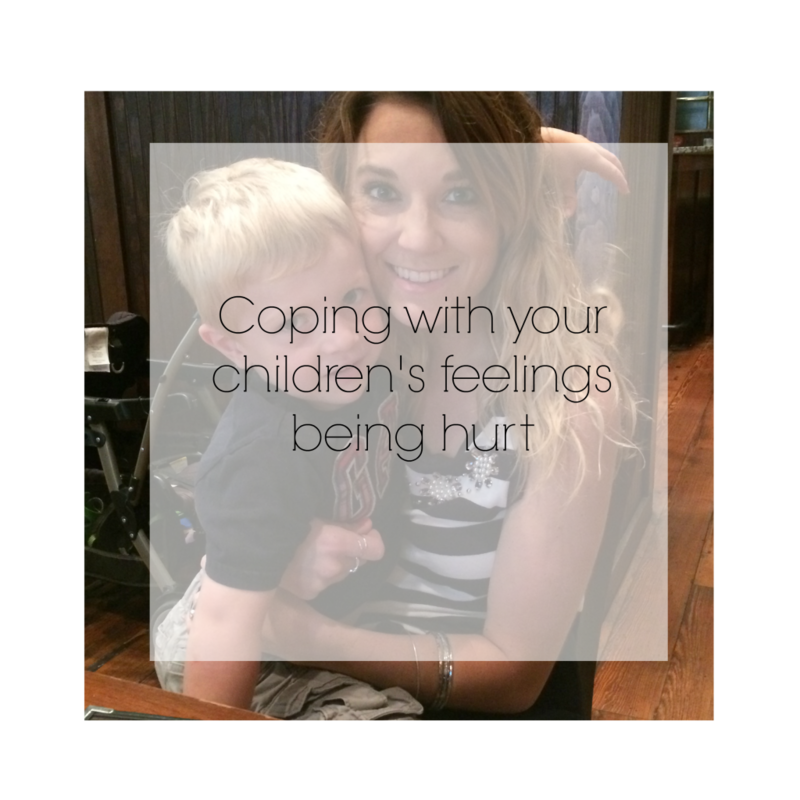 There are plenty of other kids here, so why don’t you go find someone else to play with?” His teacher sat the other boys down and explained how they were hurting my son’s feelings. And then two seconds later, all three of them were off running and having a great time. I know, they’re kids. But not for long. Soon they could be that loner in middle school who gets made fun of or that weird girl in high school who kicks her locker three times. Those are someone’s children. And as a parent, it breaks my heart to know that kids treat each other that way. We can raise our children to spread love and kindness but no matter what we do, we can’t control how others will treat ours. It’s scares me. Because seeing my children upset makes me upset and makes me want to solve their problems and make them feel better. But I know that I’m not always going to be around to do that. How do you come to terms with that? 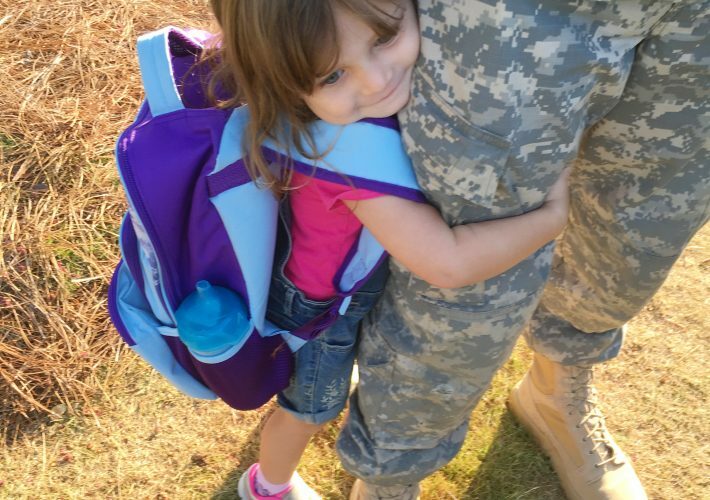 As a mom, how do you find the peace of mind that your kids will be okay at school? Or daycare? Or wherever? I know it’s only going to get worse as time goes on and I’m trying to find the inner peace that it will all work itself out. That if he’s kind, others will be kind to him too. However as we’ve all witnessed from human nature, that’s not always the case. So how do you trust that your kids won’t have to deal with bullying or exclusion? What can we do as parents to prevent that? Can we?